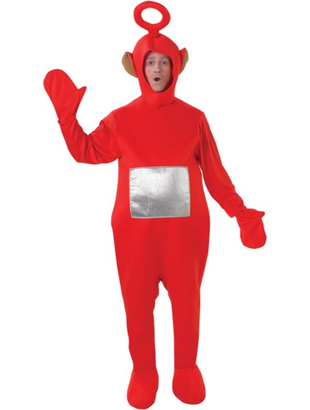 This Official Licensed Teletubbies costume is the perfect costume for any kids party. Po is the little cute red character from the famous kids TV show Teletubbies. This costume includes a bright red faux fleece jumpsuit with light padded lining to the front and a grey square telly belly, the jumpsuit also has attached mittens on the sleeves. 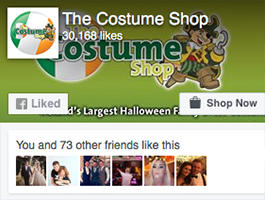 The costume also includes red boot covers and of course the red headpiece to complete the look.